Wow! What a city! You’re coming here on a business trip or on vacation and you want to be sure you don’t miss the biggest attractions this city has to offer. You did your homework. You studied all the maps, made a list of all the great restaurants, booked some tickets to a first class play and collected a stack of research on the major museums, galleries and numerous other world-class attractions. This city is a literal magnet for tourists. Thirty-three million foreign and domestic visitors came to the city with 'Big Shoulders' in 2005. Many of the Travel magazines pick it as one of the top cities in the world to visit. They come by the millions because of its reputation as one of the global architectural capitals, the luxury shopping along the Magnificent Mile, thousands of restaurants offering food from every corner of the earth, the museums, and the Broadway plays. The city is also a convention hub of the highest order, being the United States’ third largest city for conventions behind only Las Vegas and Orlando. But, when you only have a limited amount of time to capture the sights and sounds of Chicago, you have to prioritize. You can't do it ALL! This site is owned and written by locals. People who live here year around and know exactly what they would show their friends and family if they came for a visit. The site is filled with ‘Insider Secrets’ on their favorite restaurants, special “can’t miss” attractions that bring out the locals, how to avoid the crowds and many other secret treasures hidden away from the casual tourists who are out rushing from place to place. 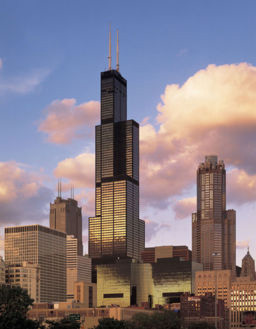 We can make your trip to Chicago something special and memorable! We live here and we know her well. We would like to share what we know with you and we’re not going to hold anything back. We’ll share our secrets with you in a straightforward manner that will save you time and money. We don’t want to overwhelm you. We will list all our favorite highlights and let you in on what we consider to be the best of the best. So just si t back and relax and go through our site. See all that Chicago has to offer. Read the reviews and our recommendations. No need to make decisions right away. Then, when you've made the decision to visit, download our FREE 50 Page PDF Guide that lists all our favorites and all the attractions, activities, the special services like world class SPAs, the tours and all that Chicago has to offer. We'll give you the addresses and phone numbers (you can't have your laptop with you ALL the time). Just print it out, throw it in your bag and off you go. You don't have to remember anything, or take copious notes or remember our recommendations because they will all be in our FREE 50 Page PDF Guide. AND! Look for the specials and coupons businesses are offering. Save yourself some money while you're having fun.